Your student is a "Lifer" and we want to recognize their hard work, dedication, and determination by taking them under our wings for some extra training and opportunities. This is our Black Belt Apprentice Program. Once a student achieves the level of Green Belt, they enter our Black Belt Apprentice program. This program is for students who love training and are committed to achieve their black belt and beyond. Our Black Belt Apprentice program isn't another program for you to try to schedule into your week...it is their program at green belt. Starting in October of 2018, on Thursday evening from 6:45 to 8:15 BBA Leadership team members will be able to participate in our Olympic-style Taekwondo competition team training sessions. The competition team will practice Olympic-style sparring, sport pooomsae, traditional and creative weapons, and competitive board breaking. 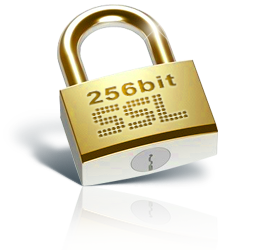 The team is open for only Black Belt Apprentice Leadership program members and will only be an additional $45 per month. It will include all the weekly 90 minute training sessions as well as any pre-event tournament prep opportunities. It also includes a customized strength, conditioning, and stretching program for each athlete. 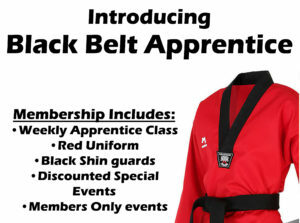 Welcome to the Registration Page for the Black Belt Apprentice program!! We are so glad you are here getting ready to level-up your training and to make the commitment to achieve your black belt! I do acknowledge that if this application is accepted, I intend to be legally bound for myself and my heirs, and forever waiver and release Josh Waltzing, Enriching Confidence, LLC., Alexandria Martial Arts & Movement, their instructors and officers, property owners or trustees, and all assistants from all liability for any injuries, fatal or otherwise, attained while traveling to and from or participating in the Alexandria Martial Arts & Movement Level 2 Black Belt Apprentice Leadership Program. Thank you for Enrolling in the Level 2 Black Belt Apprentice Leadership program, you have been emailed a confirmation.